Your hosts Fraser Berkett and Chris MacKay have been happily running Welcome Bay Hot Pools and Campground for several years now, and live on-site with their family. They take pride in offering guests a friendly family atmosphere and they always go the extra mile to provide a safe and comfortable environment. It’s important to them that all guests can enjoy a quiet and relaxing stay, and they make sure the modern facilities on the premises are maintained to the highest standards and kept immaculate at all times. The Welcome Bay Hot Pools and Campground are set in a peaceful natural environment, where the sounds of birdlife abound. Staying at this lovely boutique campground and soaking in the tepid natural mineral pools means tranquillity and being at harmony with nature. 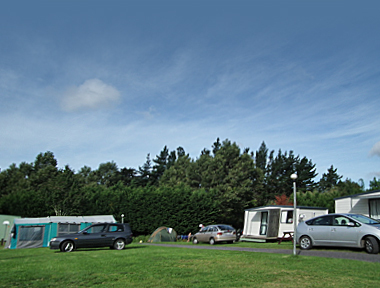 The main point of difference of the Welcome Bay Hot Pools and Campground is that it is a small and intimate holiday park, in a rural setting, where rest and relaxation is paramount.